That is freaking awesome. 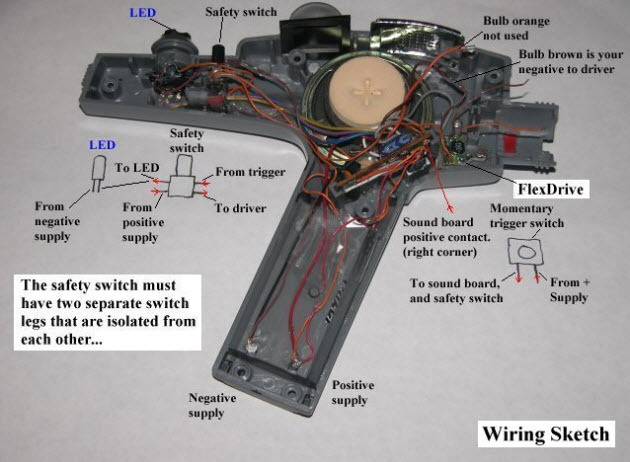 Jay posted the entire how-to on the Laser Pointer Forums – definitely check it out! He’s even added a safety to his modification! If you’re gonna be playing around with lasers, especially this kind of laser project, you need to cough up some bread and get a pair of laser filter glasses so you don’t burn your eyes out. Here’s a pair from OEM LAser Systems, Inc that will do the job fine, and here is a bunch from Amazon. Don’t mess around with this, you need them. Playing with lasers isn’t worth your sight. Oh, and also – you’re not gonna blame it on me if you screw up. Play smart. Previous articlePOLL: Do You Belong to Any Lighting Organizations?